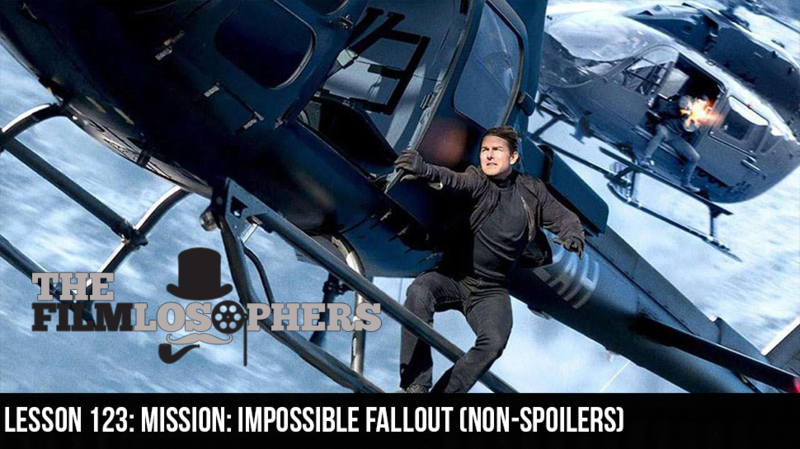 The Filmlosophers, Eddie Villanueva, Chad Riley and Spencer Williams, race against time to face a series of challenges head-on with this week’s review of Mission Impossible: Fallout (2018). Tom Cruise reprises his role as Ethan Hunt in the film franchise’s sixth installment, alongside a slew of returning performers including Ving Rhames, Simon Pegg, Rebecca Ferguson, Michelle Monaghan, Sean Harris and Alec Baldwin. The action thriller is filled to the brim with breathtaking stunt sequences and features only a few new faces – Henry Cavill, Angela Bassett, Vanessa Kirby, and Henry Cavill’s mustache – but it may just be too full with a runtime of nearly two and a half hours.